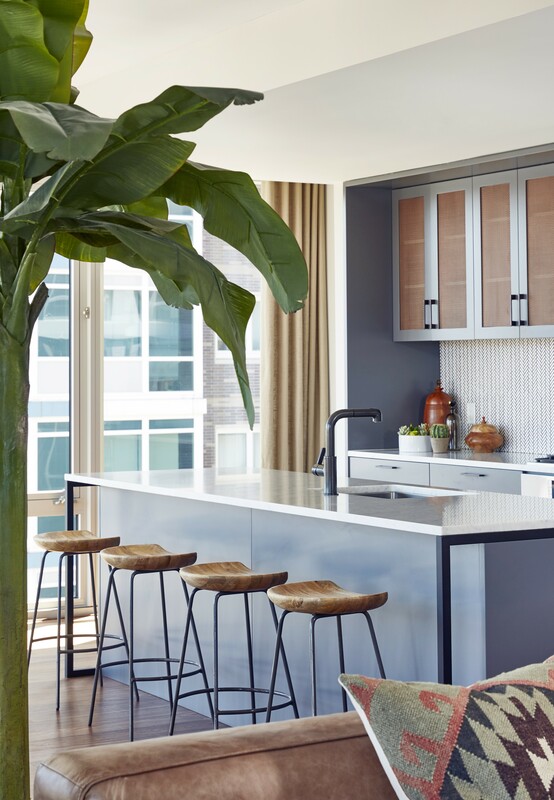 Located on a welcoming park just off the Hudson River in Jersey City’s vibrant Newport neighborhood, Shore House features a nouveau industrial aesthetic that redefines luxury. 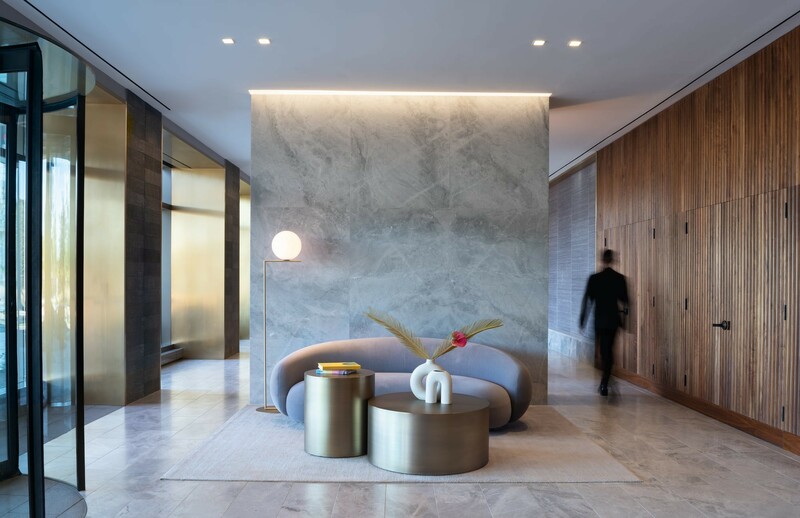 This boutique condominium delivers a look inspired by the industrial histories of Tribeca and Brooklyn, refined in a way that is quintessentially today. 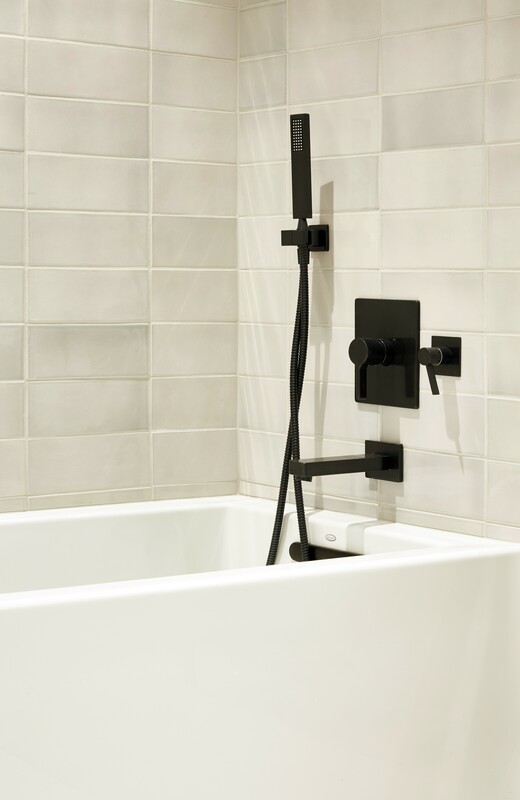 The Master Bath makes a sophisticated statement. A console-style walnut vanity with Glacier White Quartz top and Venetian bronze accents contrasts beautifully with White Begonia floors and walls. Envisioned for the at-home chef with a clean, modern aesthetic, the Chef’s Kitchen features a large center island as its centerpiece. 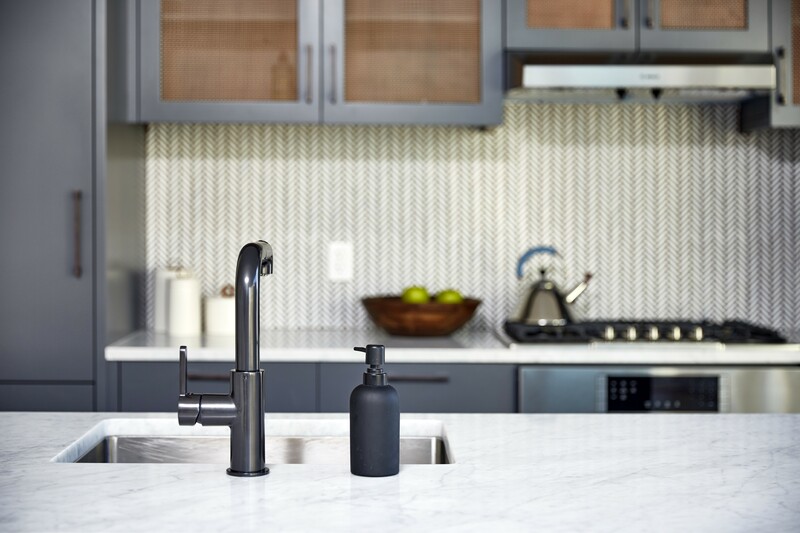 Smoke grey painted oak millwork with Venetian bronze trim, white Carrera marble kitchen counters and stainless steel undermounted sink set a backdrop for a state-of-the-art Integral Bosch appliance package. When paired with the neighboring family room, the space makes nightly dining and weekend entertaining a seamless affair. Shore House’s Lobby complements the building’s façade of light, medium and dark gray tones. This space features a live-edge walnut concierge desk, highlighted by a wall of blackened steel and ship-lapped oak plank walls and illuminated by a stunning canopy of industrial Edison bulbs. The ambiance is both cool and intimate. Shore House’s Rooftop Lounge is a revitalizing destination for unwinding after a long day or to relax on weekends. It features an outdoor grill, bar and kitchen area, and a variety of seating that is perfect for entertaining. 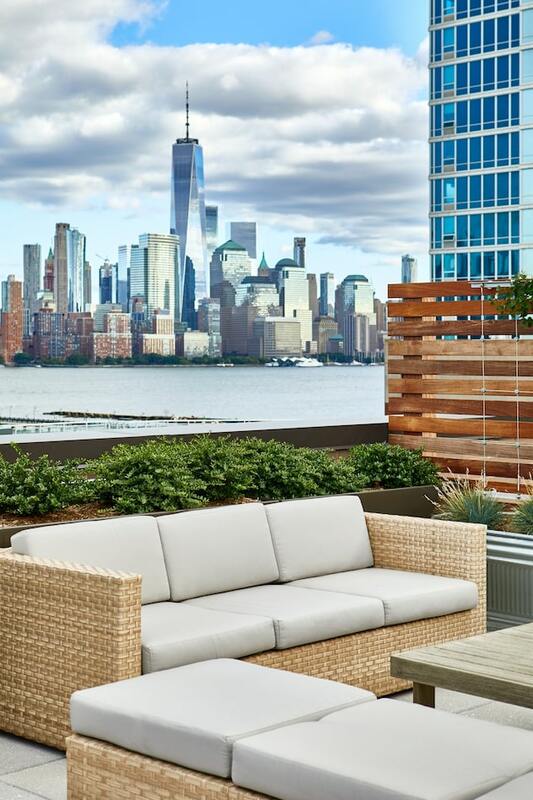 All with incredible views of Manhattan, the Hudson River waterfront and the park. 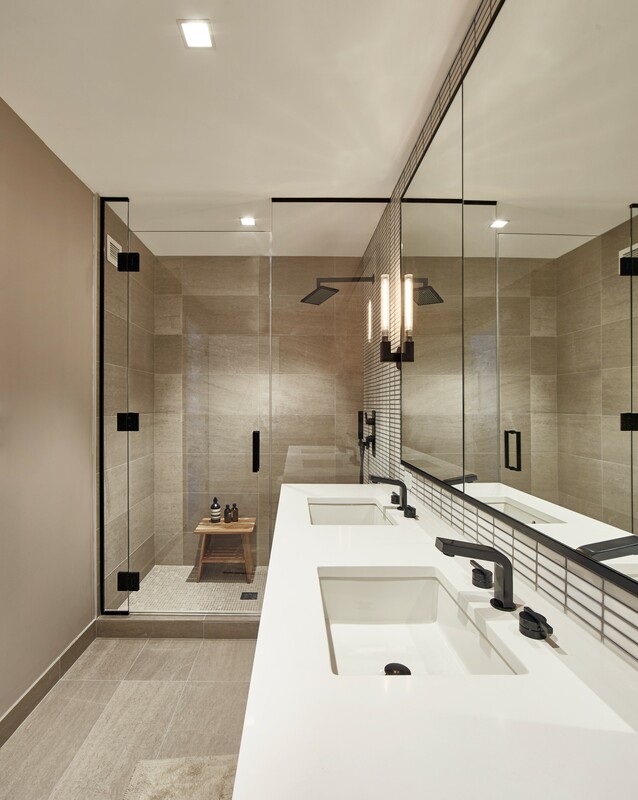 In addition to the Olympic-Style Pool and Fitness Center in 75 Park Lane, Shore House provides residents with their own thoughtfully designed Fitness Room. The generously sized space offers a customized TRX workout area and separate strength training and aerobic activity spaces. Additional features include exposed concrete finishes, metal mesh acoustic treatments, distressed wood floors and monochromatic wall murals.